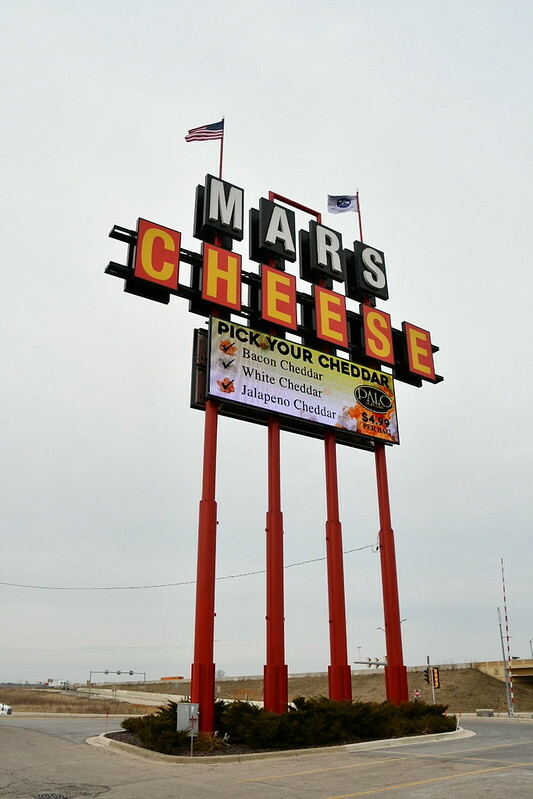 We checked out the impressive Mars Cheese Castle near Kenosha, Wisconsin. 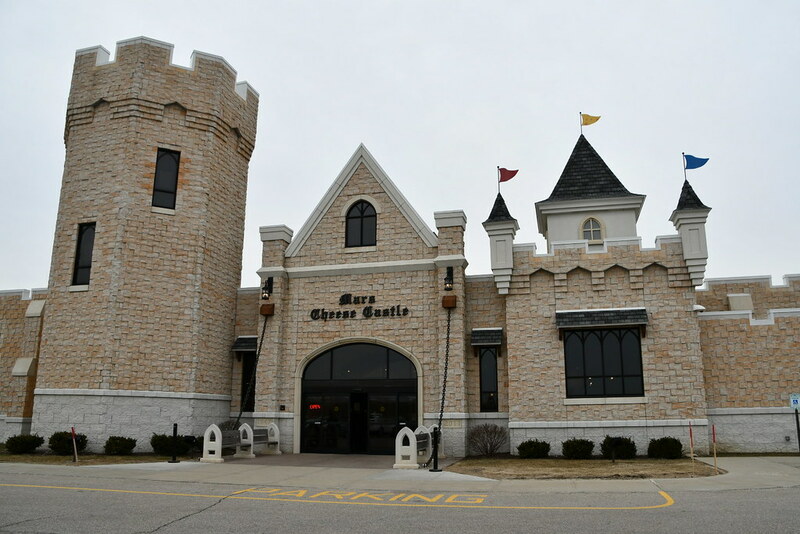 It's right off the Interstate, and beckons travelers with the promise of delicious cheese products in an impressive-looking castle. 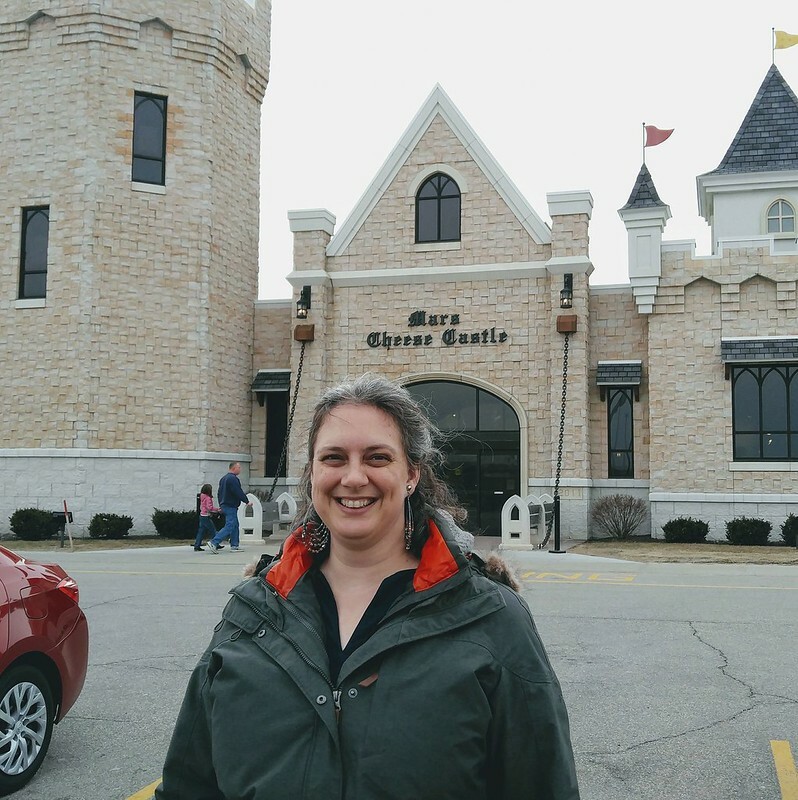 The castle itself is not made of cheese--that would have been a bad idea. But a castle containing lots of cheese, that was a good idea. 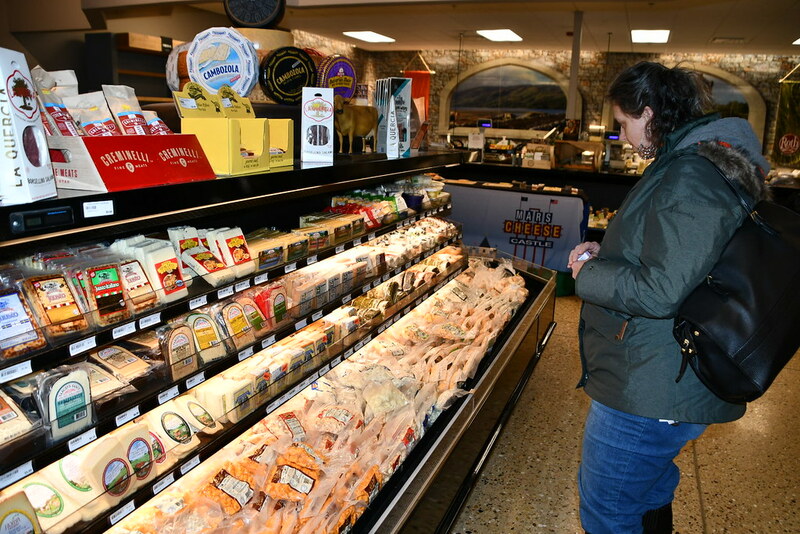 Katherine looks at the variety of flavored cheese curds for purchase. 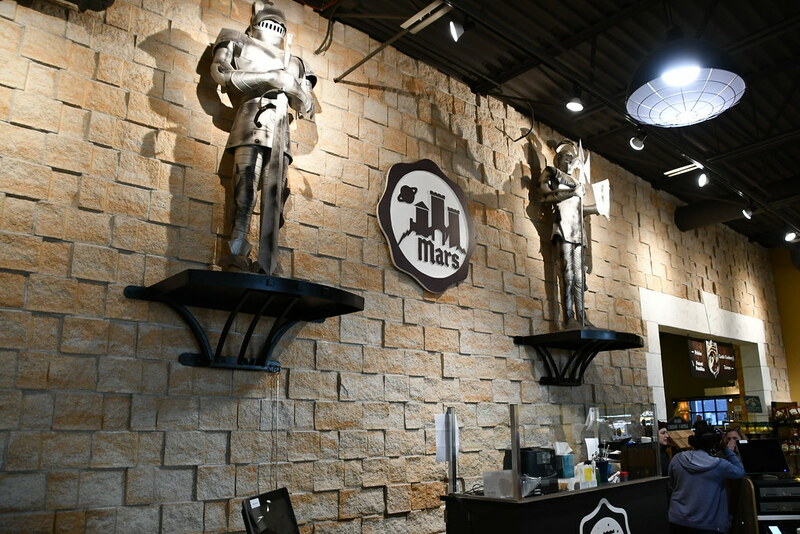 This was the way to the small restaurant and dining area. 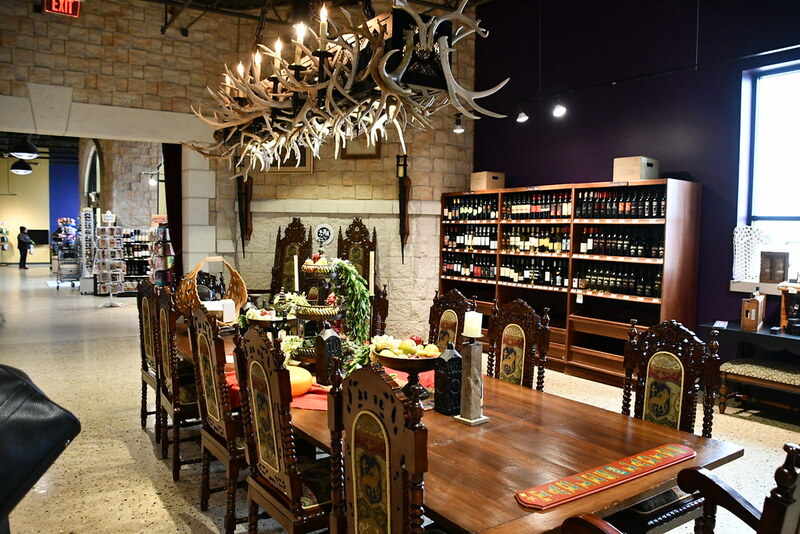 Fancy table set up in the wine room. 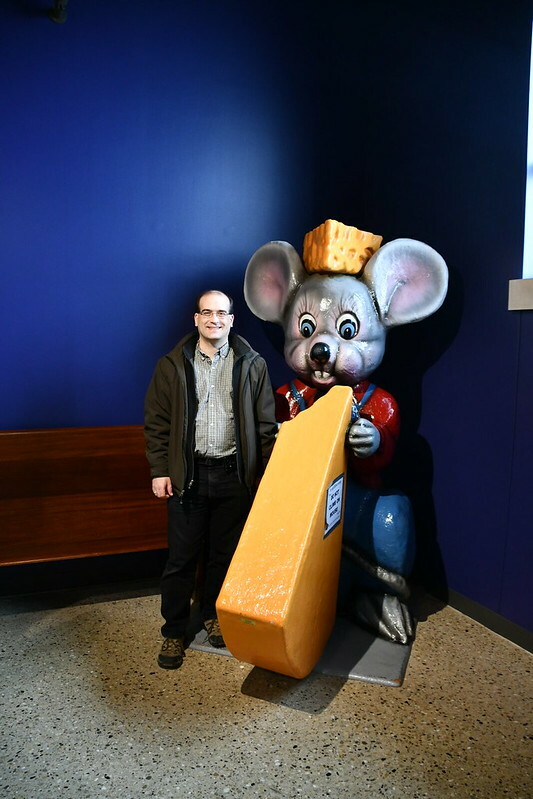 Chris poses for a cheesy photo with the giant mouse. 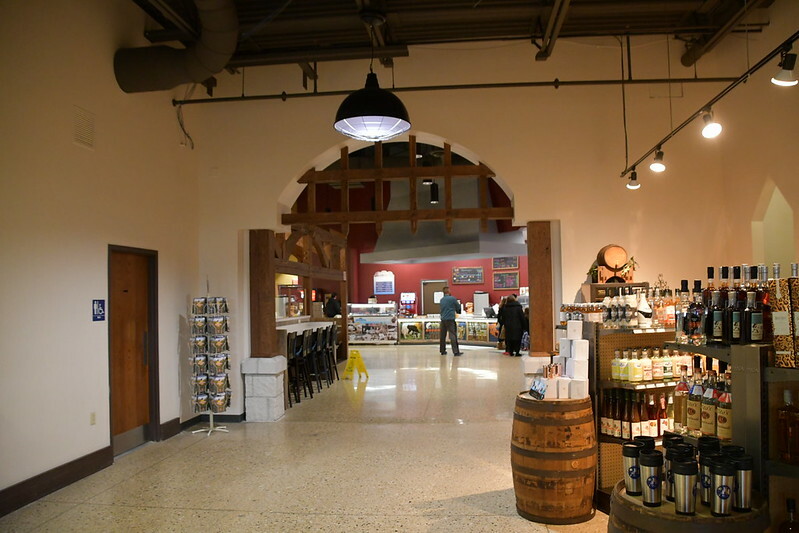 Katherine left the Castle happy after picking up some cheese and wine.